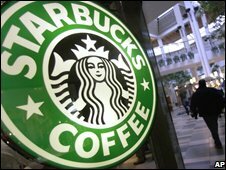 It has had to happen, Starbucks is having a few difficulties, and I guess it will also happen to Costa’s and all those other ‘me too’ places – £3 coffees are the first things to go in a recession. Only those places that do a little more than ‘arty’ sandwiches, biscuits and Grande Lattes will survive, the small independent cafe/restaurant perhaps. Living in the middle of Kent, a Starbucks has not yet opened in the two closest towns so maybe we will be saved from them – after all we have had McDonalds close and that is almost unheard of. Funny, tomorrow I need to find somewhere to perch for a few hours – somewhere with free Wi-Fi would have been excellent, looks like it is 3G and the local library instead.